Five years ago you could have lumped me in the long hours, love what I do, never stop thinking obsessive designer camp. But then a life changing event happened — I had my first child. All of a sudden my priorities had to change. I won’t bore you with the details of parenthood, but fast forward one year from that momentous day and my environmental lawyer wife needed to go back to work and someone needed to look after our little son Joschka. Neither of us wanted him to be at nursery five days a week so we had to get creative with how we juggled work. At the time I was Creative Partner with my other baby — Magpie Studio. So I broached the subject of a four day week with my business partners Ben and Dave and got a positive response. It would allow me to look after Joschka one day a week — with both parents working a shorter week he’d only need to be in child care two days a week. 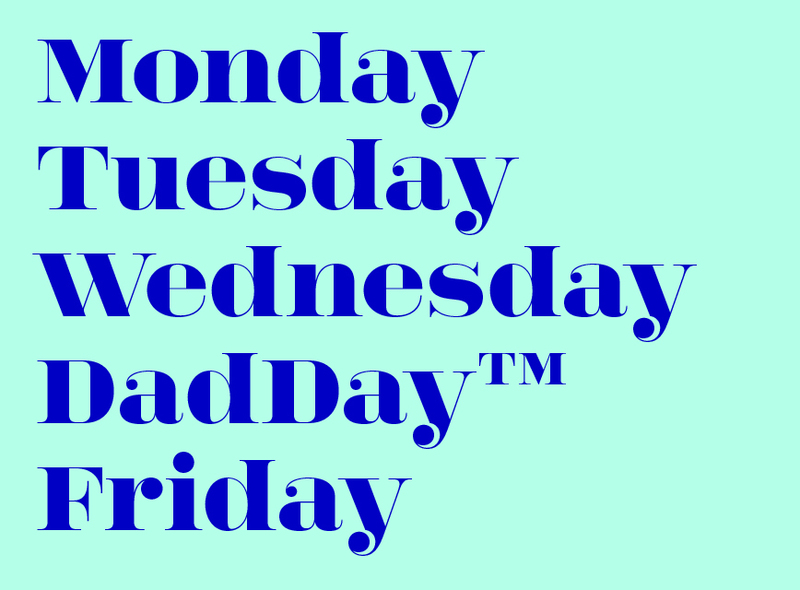 The guys were very supportive and we agreed that eventually when we all had kids we’d all have the option to do a four day week (which true to our word we all did — Thursdays got known as DadDay at Magpie Towers). This is where it gets more complicated — I’m not saying making a four day week work is easy but it is possible. You have to agree a lower wage, a lesser dividend at the end of the year if you’re a director (unless you’re all four day weekers) and above all, you’ve got to be bloody organised. But all this is more than worth it for the benefits. You get to spend more quality time with your children. But you also get some much needed perspective on work. Working flexibly works — it keeps you fresh. Plus your other half will love you even more. For me this flexible way of working eventually lead to us moving to Bath for a better quality of life. But that’s another story. Just after I left London I went back to attend a design dinner — a room full of the great and the good of design (and me). I was sat next to a design legend from an older generation — we were having a lovely chat, then my four day working week came up and he couldn’t quite believe it. He thought I was slightly nuts and regaled me with stories of how he was still so passionate that he frequently worked through the night on pitches and whatnot. Whilst it was inspiring to meet someone still so in love with design after a long and illustrious career, it hammered home to me the deeply ingrained culture of designers working constantly. Of course it can’t be a hard and fast rule — design is a deadline driven business and very occasionally the demands of a project mean I need to work on my DadDay. But in general, with a bit of good organisation, I’ve pulled it off for four years. I’d argue I get five days work done in four by remaining focussed and organised, never wasting so much as a minute of my day. And clients are open-minded about it too — I’m very transparent about it and I think most of my clients actually see it as a positive and progressive approach — particularly for a man (there I said it). Last year Joschka started school and next year my youngest Ruby will too. It’s made me think about whether to keep the four day week thing going or not. But writing this piece has made me decide that my DadDay will become my MusicDay. A chance for me to pursue my other passion in life. Why? Because I think it will keep me sane and give me the much needed perspective I need on my design work. So maybe we should start a four day revolution in the design world — one not just for parents but for everyone.